Orchestre Métropolitain Montréal presents By Jupiter with Cristian Macelaru (conductor) at the Montreal Symphony House on March 1st, 2015. The Associate Conductor of the Philadelphia Orchestra, Cristian Măcelaru, one of the most promising young conductors, presents two great classical symphonies: Haydn’s deliciously dramatic Farewell and Mozart’s grandiose Jupiter. Martinů’s Sinfonia Concertante, a neoclassical work written in homage to Haydn’s namesake composition, will showcase the extraordinary talent of four formidable soloists from the ranks of the Orchestre Métropolitain. By Jupiter! – Par Jupiter! Winner of the 2014 Solti Conducting Award, Romanian-born Cristian Măcelaru has established himself as one of the fast-rising stars of the conducting world. With every concert he displays an exciting and highly regarded presence, thoughtful interpretations, and energetic conviction on the podium. Conductor-in-residence of The Philadelphia Orchestra, he began his tenure with that ensemble as assistant conductor in September 2011, and in recognition of his artistic contributions to the Orchestra, his title was elevated to associate conductor in November 2012. The 2014-15 season will see Cristian Măcelaru make his official Carnegie debut on a program with the Danish National Symphony Orchestra. Replacing the orchestra’s Chief Conductor Rafael Frühbeck de Burgos, Mr. Măcelaru will have the honor of conducting the Danish National Symphony Orchestra in Denmark and on a German and U.S. tour in January and February 2015. 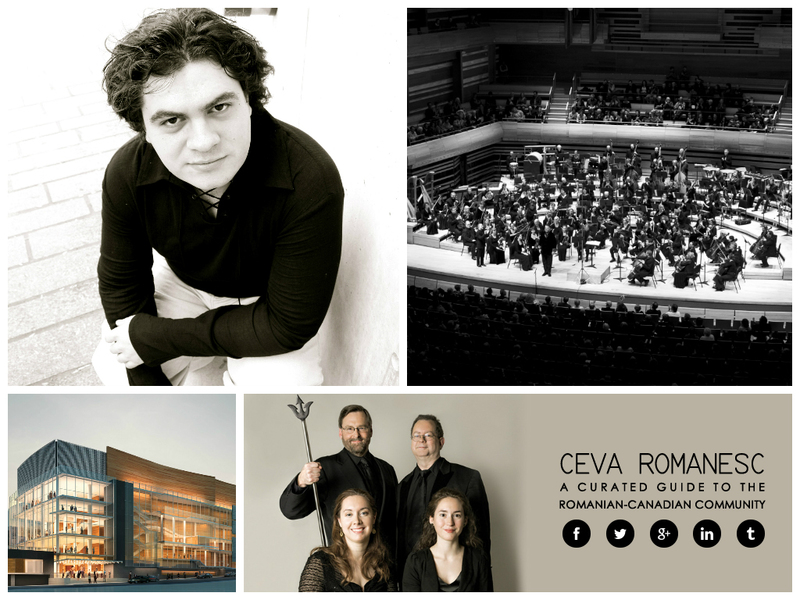 With a majority of its musicians born and trained in Québec, the Orchestre Métropolitain is a non-profit organization of international calibre dedicated to bringing classical music from here and abroad to the entire community of Metropolitan Montréal and its various cultural organizations. Since Yannick Nézet-Séguin became the Artistic Director, in 2000, the Orchestre Métropolitain’s reputation for passion and drive for excellence have continued to grow and expand—in Montréal, in Québec, in Canada and abroad. The Orchestre’s performances have earned numerous Opus and Félix awards (respectively from the Conseil québécois de la musique and ADISQ), as well as glowing reviews, the warm response of audiences and an ever-growing number of concert subscriptions.